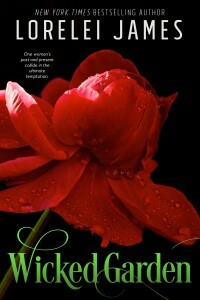 One woman’s past and present collide in the ultimate temptation. Eden LaCroix loved Billy Buchanan ten years ago, but he ran out on her the night of prom. Now he’s back temporarily and Eden believes a hot fling will help her move on from their tangled past. She wasn’t expecting Billy’s naughty side—or the return of her sometime lover Jon White Feather—to tempt her to submit to her own dark desires. Although college took Billy away from Eden, it’s a mistake he can rectify now that he’s in town to determine the fate of the community center Eden manages. Except reignited sparks keep getting in the way of his objectivity and the flames only leap higher when Eden’s rock star lover comes home, determined to show Eden—and Billy—the meaning of down and dirty. Eden considers herself a one-woman man, yet in the arms of Billy and Jon she feels truly beautiful for the first time in her life. But does the sexual healing go far enough to prevent her from falling in love again?